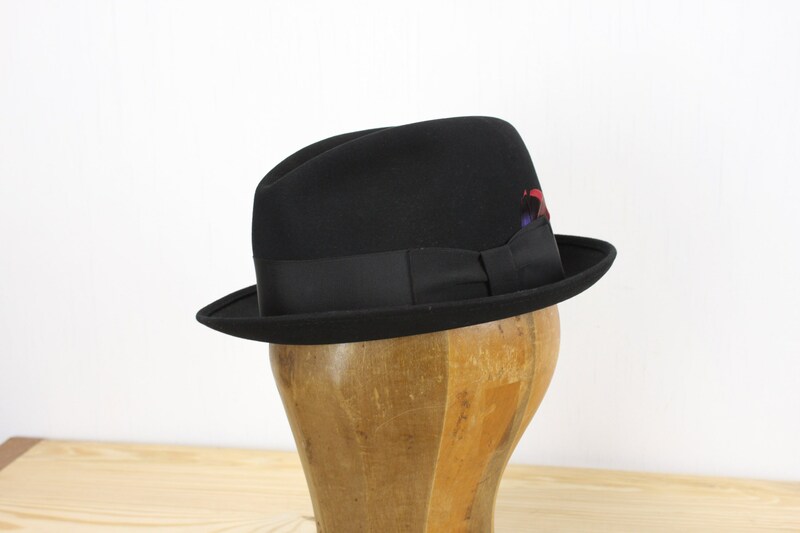 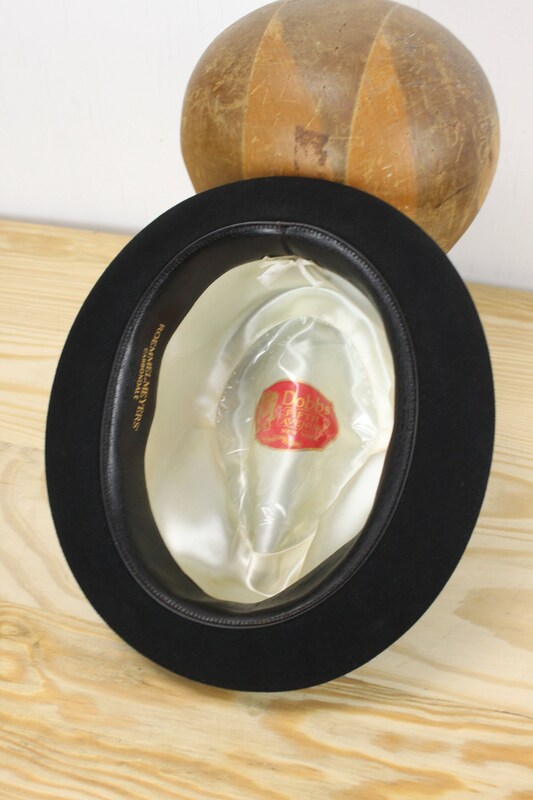 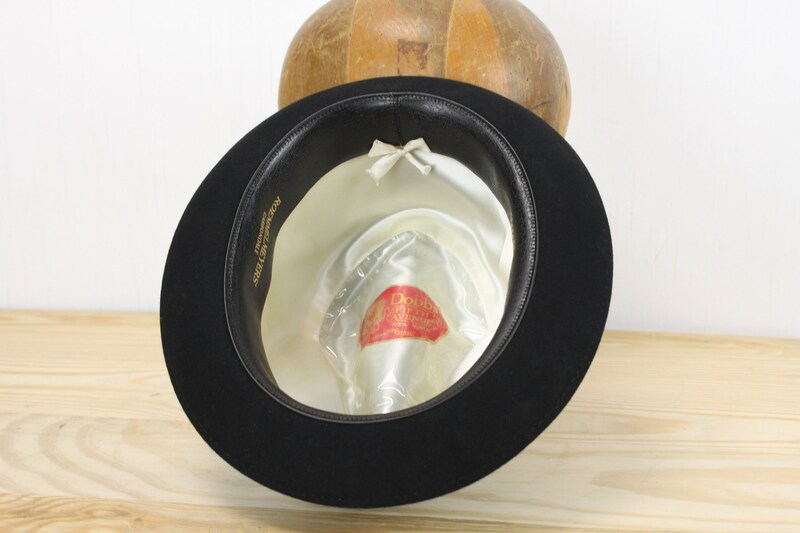 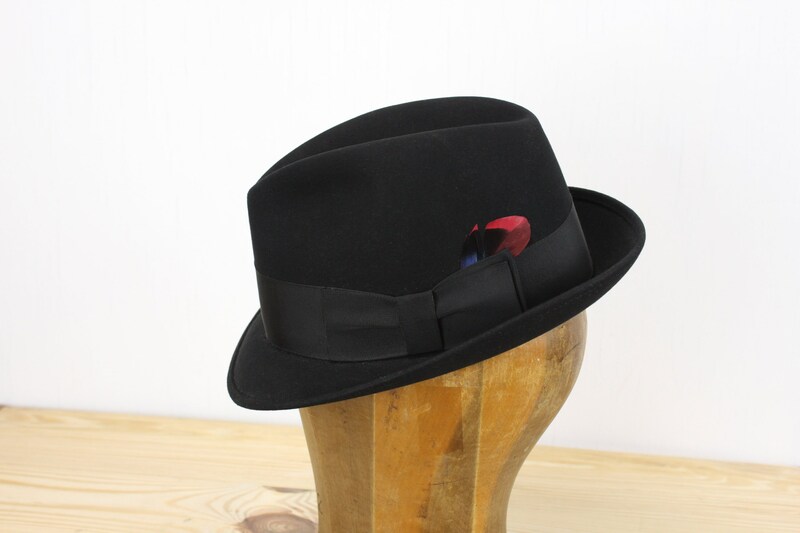 This classic Dobbs Fifth Avenue hat is a prime example of the golden age of fedoras and is in stunning condition! 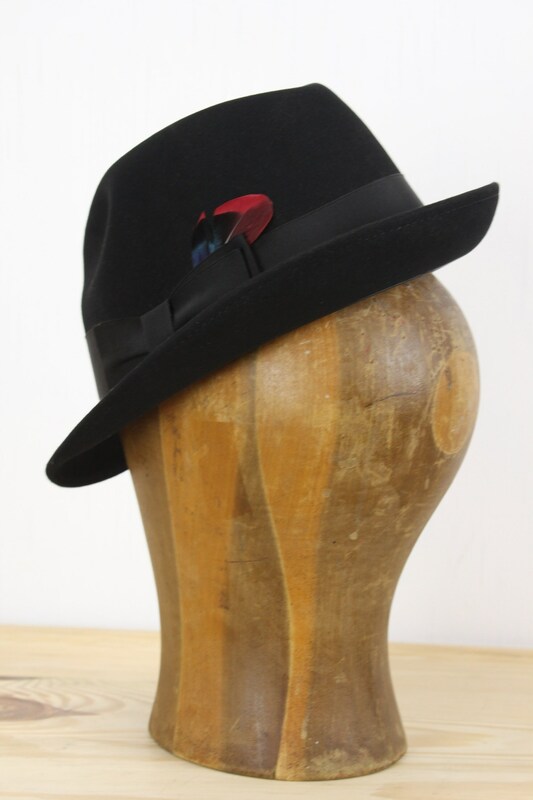 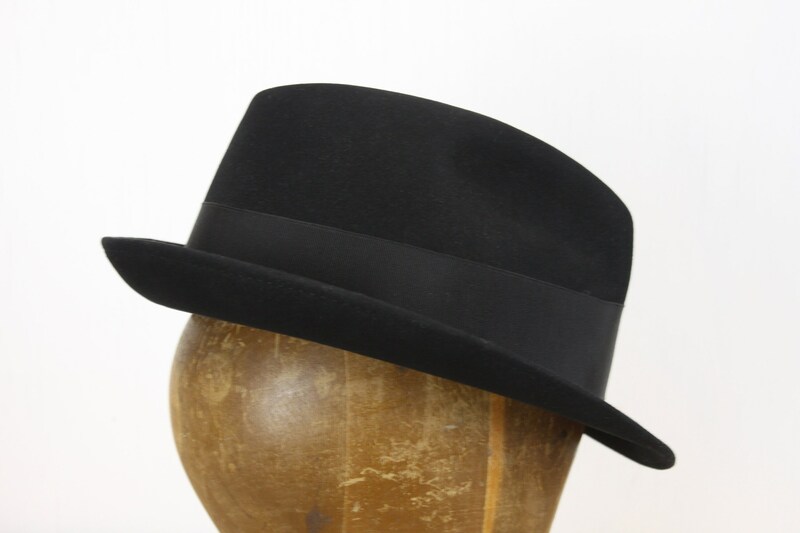 This classic Black beaver felt hat features a simple yet elegant design - truly a dress hat of the highest quality. 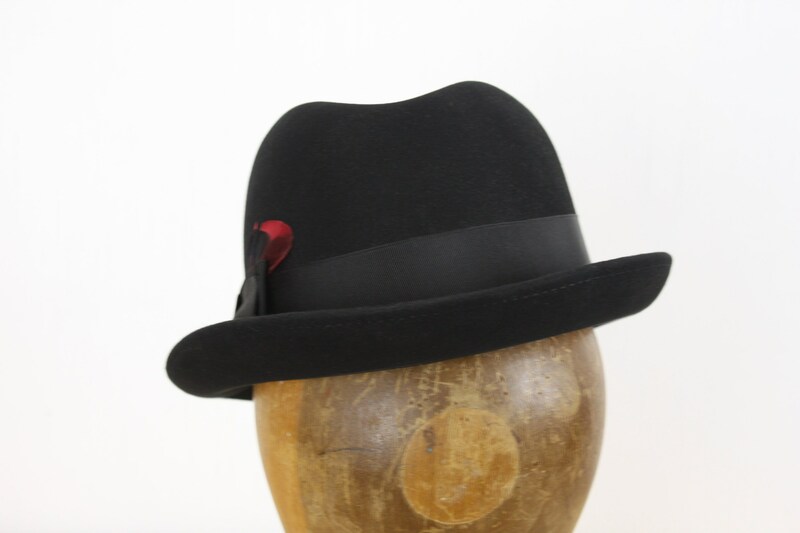 The all black hat is constructed of a heavy felt and is dressed with a simple, wide, black cotton band and accented by a pop of red in the cardinal plume! 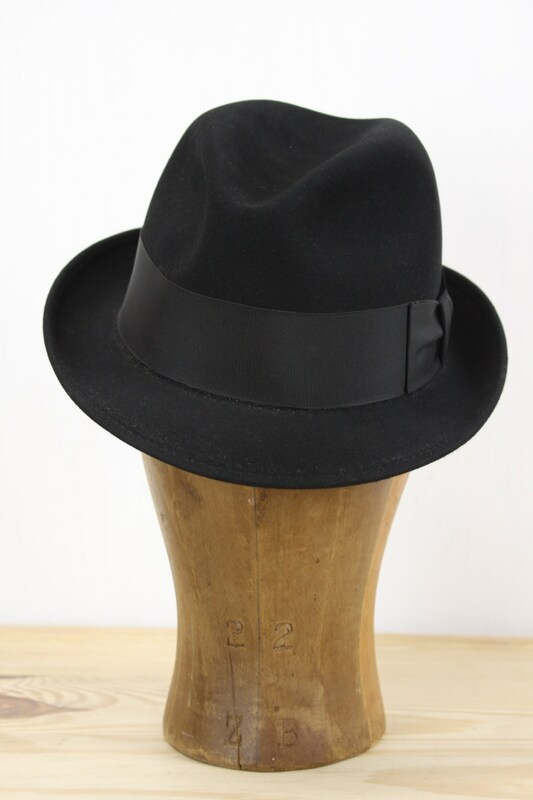 This hat is of the highest quality construction and whether you are dressing your child for a First communion, Wedding or Holiday - this hat is sure to set them apart! 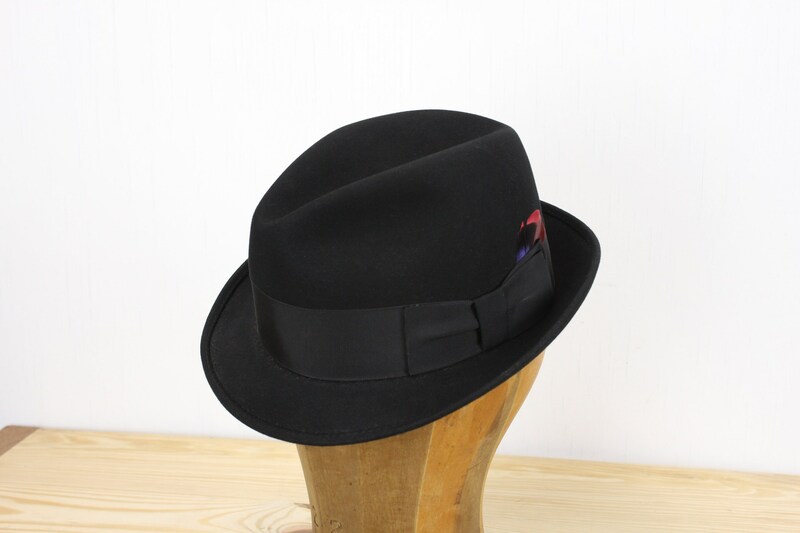 - 11" 10" x 5"